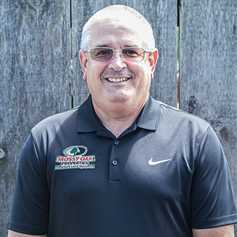 Mark comes to the Mossy Oak family having previously served the central Indiana real estate market as a member of one of areas largest real estate companies. Prior to obtaining his real estate license in 2015, Mark completed a 31-year career in commercial banking, most of those years spent as a commercial and agricultural lender and business development officer. Over this period of time Mark was afforded the opportunity to finance literally hundreds of commercial and small-business owners, major farm operations, and all types of consumer households. This long tenure in banking provided Mark with a very valuable set of skills and knowledge that has equipped him to exceed your needs as a buyer or seller of any type of real estate. He and wife Gina have been married for 30 years and are proud parents of daughters Sarah (Matt) Buell, Zoe Boswell, and son Noah Boswell. They also love and cherish three beautiful grandchildren, Hogarth, Hazel, and Nora Buell.